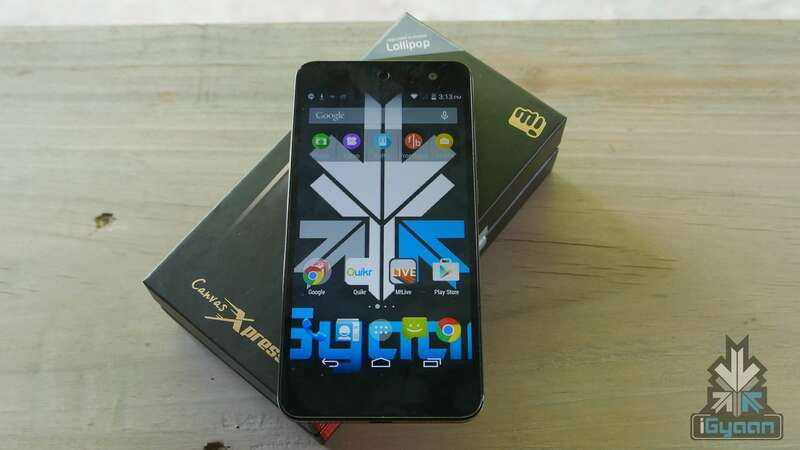 Starting the week right is Micromax’s launch of its ultra budget smartphone. Meet the Canvas Xpress 2 – it comes with a 13MP camera, a 5-inch HD display, 1GB RAM and is only priced at Rs. 5,999. Chinese companies have spoilt Indian buyers by offering high-end specs at affordable prices and Indian companies are trying hard to keep up. This is Micromax’s attempt. You’d expect that such a smartphone would be a product of the company’s subsidiary Yu Televentures. But Micromax decided to swoop in and bring out its own budget offering. In the box, along with the smartphone, we get a pair of earphones, a data cable, a power adapter, a screen guard and standard documentation. 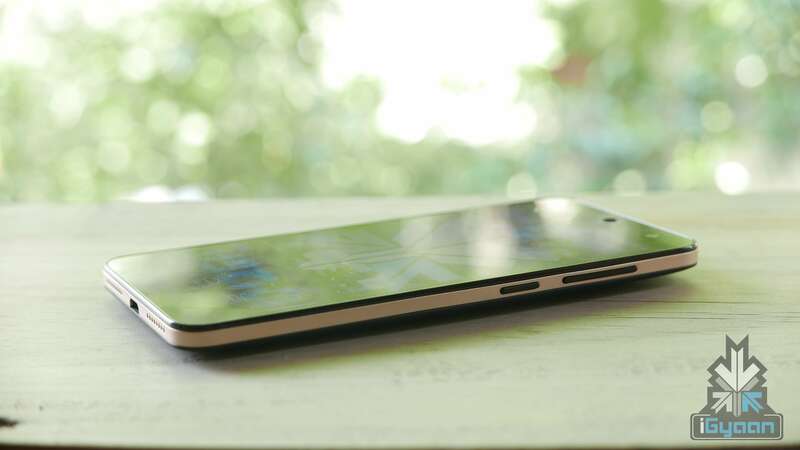 Coming to the smartphone itself, this one is quite a looker. The smartphone comes with a gold rim, which is subtle and stylish. 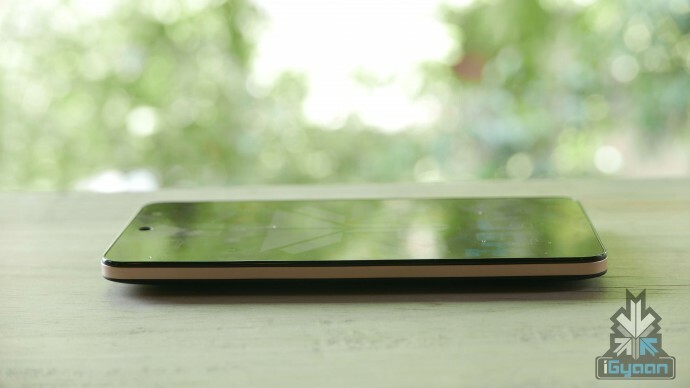 It also has a smooth matte black back, so there isn’t a need to worry about fingerprints. The display is protected with Corning Gorilla Glass 3, which takes away the worry of careless scratches. The gold and black exteriors complement each other well and moreover give the phone a premium feel. The design of the device also seems sturdy. Meanwhile, under the hood, the Xpress 2 comes with an octa core, MediaTek6592 chipset clocked at 1.4 GHz. It comes coupled with 1GB of RAM. 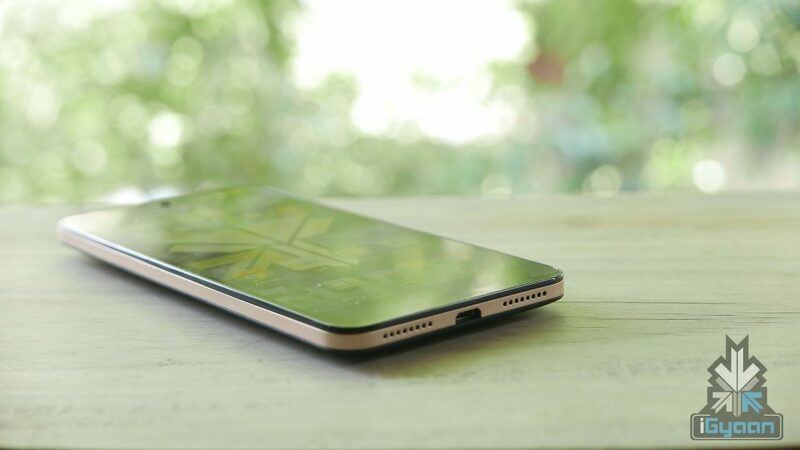 The smartphone offers 8GB internal storage, which is expandale to 32GB. 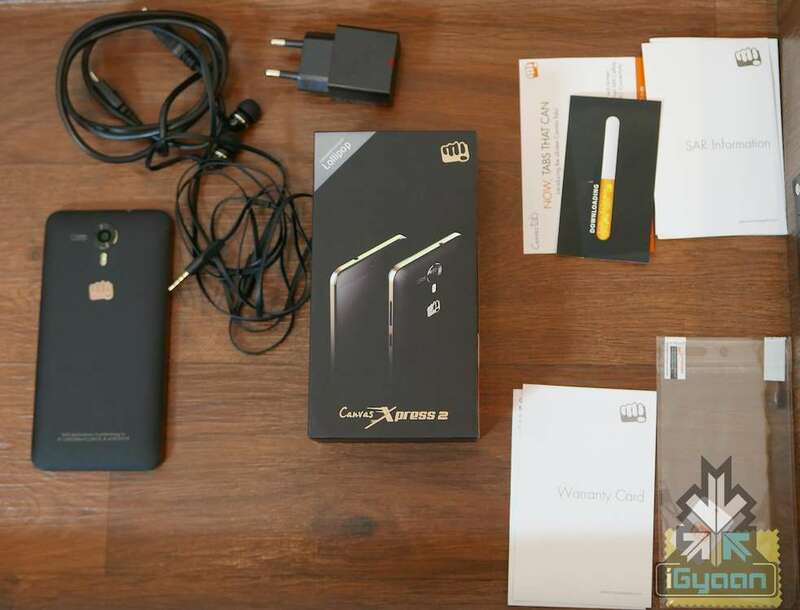 Micromax has provided a 2500Ah Battery to fuel the device. The company claims they’re extremely proud of the smartphone’s camera prowess. The Canvas Xpress 2 comes with a 13MP rear camera, with a Dual LED Flash and f/ 2.0 lens, which promises to produce clear pictures in low-light settings. 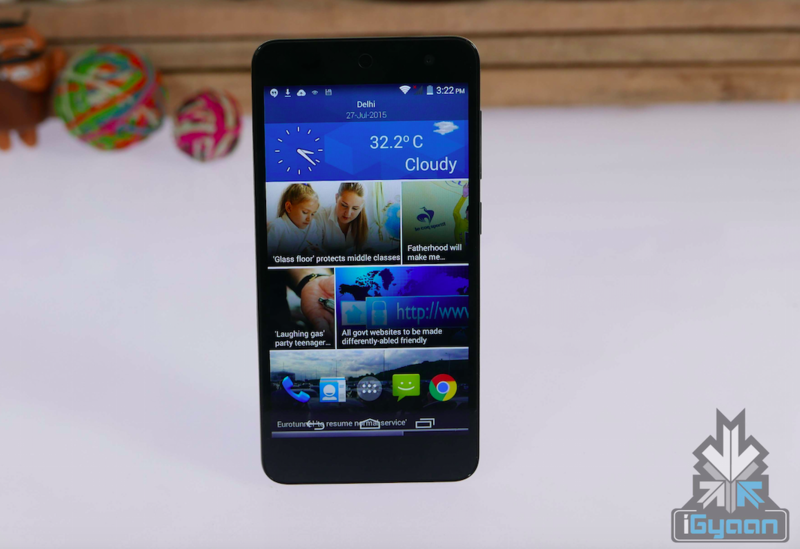 The device comes with Android KitKat 4.4.2 out of the box, which is upgradable to Lollipop. The user interface is mostly generic, with a little or no changes from Micromax. The overall experience of the UI is incredibly smooth. One of the useful features about it is that a quick swipe to the left opens up the newsfeed; which is an easy way to keep up with current events. The standard three buttons at the bottom of the screen are touch-capacitive. The smartphone is again, available online-only, and will exclusively go on sale via Flipkart via the infamous flash sale model. Registrations begin today, i.e 27th July and the first sale is scheduled on the 4th of August. The company also is offering an exclusive deal in collaboration with Vodafone. To know what we think of the device, wait for our full review. I purchased canvas pep q371, there is error message since I purchased phone “no service” the sim is OK.but there is problem in phone. Please help at earliest. Is the “gold rim” made out of metal or is it a golden polished plastic? Now Micromax understand the need of customer.